To disable 'Start Screen' go to "Settings"-"Advanced" and uncheck "Show 'Start Screen' when Bandizip starts". To revert to the old tool-bar go to "View"-"Toolbar" and select "Old". The download link didn't work yesterday ... that's why I skipped the update. @ __philippe: I've seen the update, too. But the download still gives you v5.0 build 12200, that's why I didn't update the entry. Bandizip v5.0 released (changelog: http://www.bandisoft.com/bandizip/history/). Portable Bandizip support ONLY English language. You need to download (http://www.bandisoft.com/forum/viewtopic.php?f=17&t=215) language file and rename it English.ini (replace original). The download link (at 29 April 2014) leads to the Bandizip installer bandizip-setup-gl.exe. The portable zip is available at http://www.bandisoft.com/bandizip/dl.php?portable. @ __philippe: Thanks ... and updated. - Improved security of Bandizip. well, if thats the only way, im going to extract the installer and set config to nonportable mode. curious to know why they limited the portable version that much (only 32bit, no 7z, no context integration...)? I see. My Bandizip is in fact installed. @midas: thanks, but i dont find that entry in portable mode. i guess you have to install the programm in order to see this setting. wished it would handle it like 7zip portable, where the context menu is no problem. well - maybe a workaround exists? anybody knows how to get context menu entries with the portable version? This has been fixed as of version 3.07, in a roundabout way : while the Portable version still lacks the internal image viewer module, the option to use it is now greyed out in the Settings menu. Thanks, Midas! My mistake; I kept looking in the Bandizip forum, rather than the Bandisoft announcements. Oh, and why is there never a change log shown for Bandizip's updates? I've even had that problem on their site. The portable version does not include the internal image viewer/previewer, and even though the options for it are still there in the Settings menu, you'll get an error message that AIView can't be loaded. That's because its components are missing. Another thing that's included with the installer, but is missing from the portable version is the subfolder "7z", which contains the DLLs and EXEs for 7-Zip (except for 7-Zip's file manager). The upshot of this is that I can't uncompress installer files in EXE format with the portable version, but can with the full version installed. 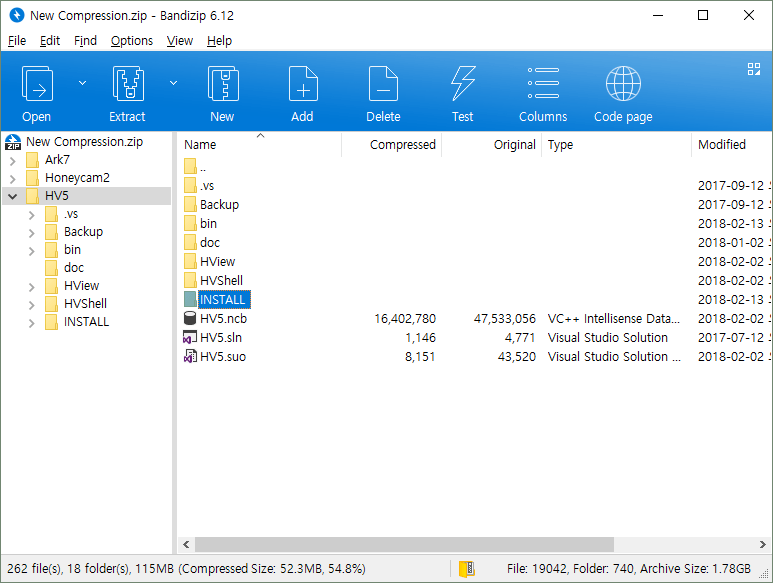 It's like getting a brand-new 7-Zip with a much better UI. rogerthedodger: it's really up to the person posting the entry. In this case, I just wanted to get this posted and didn't want to run a system test to find out for sure. Is there any reason that some new additions no longer say if its stealth or not?